THIS HOTEL IS 100PCT NON SMOKING The Homewood Suites by Hilton Lexington Fayette Mall is an upscale yet casual all suite residential style property offering home-like accommodations. 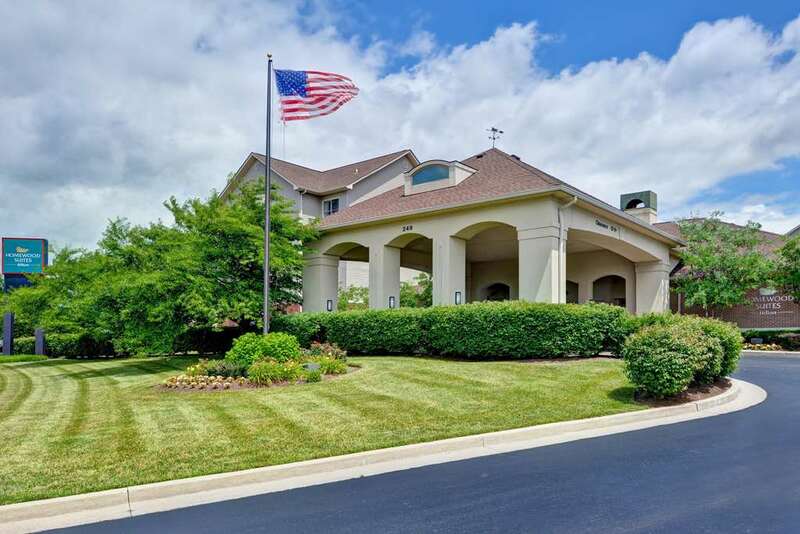 Conveniently located on the south side of Lexington just half a mile off of Nicholasville Road at 249 Ruccio Way the Homewood Suites is in close proximity to The Fayette Mall The Mall at Lexington Green and a host of dining entertainment and shopping options. Our variety of spacious suites can accommodate individuals or family with the greatest of comfort and ease. Enjoy a complimentary Daily Hot Suite Start Breakfast Buffet and Welcome Home Reception Monday-Thursday evenings as well as high speed internet access for less than you may think. Make Yourself At Home.